I am setting up a new website and as part of this, I'm trying to setup a way to take credit cards. The sales people in this industry and I just don't get along. Am I wrong to resent this sort of response to one of my inquiries? Thanks for inquiring on our services. Here is a break down of our processing. When you take a Visa/MasterCard/Discover you only pay 2.25 % + .25 per transaction. Our merchant accounts include a 6 dollar statement fee, a 10 dollar gateway fee, and I will not charge you any setup fees, application fees or programming fees. Automatically we setup Visa/MasterCard and Discover, if you are interested in Amex let me know, but they charge about 3% and 5.95 a month. If you have any questions give me a call. Please print out the attached application. Just fill out and sign the areas I have marked and send it back to me with a voided check of the account that you want your funds deposited. Here's what bugs me. 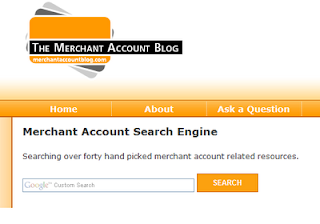 I think the choice of a merchant account vendor, a credit card processing company is a big deal. Once selected, I'm pretty well locked into their technology and system not so much by contract as by momentum. I'll train my people on their software, I'll store my customers credit cards on their system, and I'll interface with their technology. But, he seems to assume that there is nothing to discuss. He assumes that I think the pricing is a simple as that. Am I the only one who gets PO'd at this? - the 36 page First Data Merchant Services Program Guide. A dense thorough document. and a few other docs. I will say that one of the other people that I've made inquiries to called me today with a lets-get-this-thing-signed attitude. I asked a few questions about how the technology interfaces and was told that I could speak to technical support after I signed the contract. I asked how their pricing compared to Google Checkout and was told that I'm very confused, that Google was a search engine and was not in the credit card business. I told her that if she didn't have information about her industry and what was going on in it, she shouldn't call me again. I just rewrote this to put it on a forum. It looks like our business model for use of the site will be $39.95 by purchase order of check. We will discount it for to $24.95 if you pay online with a credit card or by paypal. We have grown from zero to 1.5M visits per month this year. We get around 4K weekly registrations. Once we start charging, we are guessing that the number of registrations will drop to 400/week. At 400/week, $25 each, figure $10K/week. So ~$50K per year. We could be way way off. This would make it my second largest business. I want to use a different credit card vendor this time. Email to creditcardsonline101 at gmail dot com, if you are interested. $10/month and $.25/transaction for the merchant account services provided by Cybersource. Visa/Mastercard rates of 2.19% per transaction for qualified cards, 3.39% for nonqual. Total: assume average rate of 3% plus $.25: $.99 total. BUT, the assumption of an average of 3% is a huge assumption. Sage Payment Systems: No fee schedule on their site. You have to request a quote. (800) 261-0240. 2 Checkout: 5.5% of the transaction total, plus $0.45. For a $24.95 transaction, this would be: $1.82 or 7.2% of my transaction. Google Checkout: 2% + $0.20 per transaction (plus the expenses up to 10x of my Adwords fees are deducted from my expenses. Since I spend $4K/month on Adwords, this means that the first $40K of revenue is handled without costs. Since my fee with Google Checkout is 2.8%. This could potentially be absolutely free. It looks like our business model for membership on the site will be: annual recurring billing. Question 1 - Is there any reason not to just go with paypal. It looks easy to setup. They have a clean API, plenty of support, and their costs seem reasonable? Question 2 - I don't think an "annual recurring" makes any sense. I think we'll get a lot of chargebacks if we just do a recurring billing after 12 months. And a lot of credit cards will have gone bad. If you have advice or proposals, you can comment here or email to creditcardsonline101 at gmail.com for more info. http://www.webmasterworld.com/ecommerce/3092104.htm - there is a feature mentioned where every 3 months when a member logs in they are requested to re-authorize their cc info. Pretty cool, especially since they only get it when they log in. Not quite sure where they log into to get the re-auth but i'll ask our vendor if they heard of it. I read through our vendors site and the voice auths caught my eye. I’m thinking we should try it again. I’m waiting for our vendor to call me back. I'm going to get a cc# from one of the voice auth declines and see whether or not i can get approval on it. would be great if i can. I followed up with Discover. We don’t qualify for Discover’s merchant updater because we are not a large enough merchant. They won't provide us with anymore info. If you are trying to set up a business, particularly an online business ("card not present" in industry jargon meaning you can't see the customer, card, or get a signature) with recurring revenue (meaning a stream of revenue like a subscription from each customer) and the delivery of value online such as education or ebook or software downloads (an "intangible product" in industry jargon meaning that there is no physical product shipped), you mind find that payment processors are not that eager to deal with you. Especially if you want your customers to pay you up front. This is because of what can and has happened. Many nice little startups have come into being. They have a great new service which customers can have for just $250 per year. They sell maybe two hundred subscriptions over the first year meaning that they collect $250 from two hundred people. Assume, sadly, that they had expected to sell a thousand subscriptions and their business plan and financing (and costs) assumed revenue of $250,000 (a thousand customers) but instead sold $50,000 (two hundred). They might go out of business and there are two customers calling their bank and their credit card vendors trying to get a refund on their $250. This has happened. A lot. So,, most vendors will not allow new startup companies to take payment for a year up front or even quarterly. They require you to take payment monthly. Oh, and they don't tell you this. They just look at your application to take payment for a year and say it was refused. I think I applied and was refused by several vendors before someone told me that the next place that I applied to take credit cards, I should tell them that I was going to take payment monthly, not annually. I did and was accepted. About this blog: Credit Cards Online 101 is an effort to explain simply to busy people how a small online business manager should understand payment processing. By "small", I mean companies that have between $250,000 and $25,000,000 in revenue. By online, I mean "card not present" at the time of transaction. Should I explain what I mean by the word busy and manager? Let me tell you about my world and why I'm writing this post at 4 in the morning. I will zero in on the sale of "intangible services" such as membership or educational services or downloads of ebooks or software. I will also cover the sale of products such as books and and other products that get shipped. I'll probably stay away from electronics or other items that have a "resale" value since that's a different set of problems. I will also zero in on "recurring billing" which doesn't just mean trying to make money every week and month and year from customers that keep buying from you. It means that you set up a transaction with customers that runs periodically (often monthly). Again, it means that you bill the same customer over and over. I am trying to explain it since I am trying to understand it. I invite you to come learn with me. About me: I am a small business owner. I started in my living room in 2003 and by the end of 2004, I was in business, had revenues, and was way short of the stated minimum focus of this blog of two hundred and fifty thousand dollars in revenue. At the end of year two, I was still short of the number. In fact, I had not broken into six figures. In year 3, I broke into six figures and in year 5, I broke into figures. Looking back, it was in year 3 that I could have gotten out of survival mode and would have liked to better understand how my lifeblood - online payment processing - worked. And why it was consuming about 4% of my revenues. I find that to study something, since I am busy, I need to have a way to record my thoughts and questions. Hence this blog. My operations manager will work with me on this project. I will periodically publish my list of best resources. - Where's an online list of Visa's rates? Enter your AdWords Customer ID in the box and click Request link. A confirmation email will be sent to the notification email address associated with your AdWords account. You, or the person managing your AdWords account for you, must follow the instructions in this email to complete the linking process. If you don't receive the confirmation email, please review our troubleshooting tips. At this time, U.S. merchants may only link a Checkout account to an AdWords account denominated in U.S. Dollars. Google Checkout is a fast, convenient checkout process that brings you more customers and allows them to buy from you with a single login – and you can process their orders and charge their credit or debit cards for free. Process sales for free. Get free transaction processing when you use Google AdWords and pay no monthly, setup or gateway fees. When you use Google Checkout, you'll only be charged a low 2% + $0.20 per transaction. With Google Checkout, there are no monthly, setup, or gateway service fees. I think this is significantly lower than what I'm paying. If you advertise with Google AdWords, you will also be eligible for free transaction processing for some or all of your Google Checkout sales each month. For every $1 you spend on AdWords each month, you can process $10 in sales the following month for free through Google Checkout. OK, lets assume that I spend $5K per month on adwords. So $50K of my processing is free. 3% of $50K is $1.5K. WOW! Does that mean no credit card fees whatsoever? Can I split my free transaction processing between multiple Google Checkout accounts? I find this confusing. I have several sets of fees and unless I make an effort to see them all, they're never presented in one place. I get a monthly statement from the bank which has two sets of fees on them. These are the ones associated with the type of credit card (qualified for discount or non-qualified as in the credit card vendor is proving miles on discounts back to the card-holder....which they are charging us the vendor for). In addition, my ISO hits my bank account once per month with fees. Overall, these add up to about 3.5% of my revenue which is into 7 figures. Is this appropriate or over priced? But then, The prices listed are for the Payflow gateways only and do not include additional fees that your bank or card association may charge. I'm guessing that this means that this is in addition to the credit card fees. I'll be looking into this is some real detail in the next month or so. When I started my company, I wanted to outsource almost everything since my infrastructure was weak. I signed up for a merchant account where my technical arrangement was that as soon as a customer entered their credit card info, we past the info to the credit card vendor. In my company's database, we only kept the last four digits of the credit card. Well a few years have gone by and now, I have a full time CTO and a locked office and a fair amount of infrastructure. There are a number of reasons that I might want to have full access to the credit card database. 1. If I wanted to switch credit card processors, I would have to start with a long discussion to work out the arrangement for transfering the database from my current vendor. I've yet to review my contractual arrangement with him to find out what the rules are about him providing it to me. Also, I sometimes worry about my liability for his security lapses. 2. Credit card expirations. I got thru an elaborate process of getting lists of credit cards that are going to expire every month from my vendor. They are only available starting the first of the month for which it's going to expire. I'm not sure why we don't capture this info ourselves and keep it. 3. Credit card updating process. When customers call to inquire which credit card is onfile, it's a multiscreen process to tell them. My business runs on monthly recurring billing of $19.95. The bain of our existance, one of our biggest business problems, is credit card declines. This quarter, I want to understand how the best companies handle this. Account Updater Service. You and your Merchant Processor may participate in our optional new Account Updater Service, which will enable you to receive periodic electronic files with changes to the Card Accounts that our records indicate participate in Recurring Payments Plans with you. Enrollment information is available from your Relationship Manager or at DiscoverNetwork.com. WOW, that's exciting - enable you to receive periodic electronic files with changes to the Card Accounts that our records indicate participate in Recurring Payments Plans with you - Does that mean what I think it means? Will they tell us about credit cards that have been updated? Does Visa & Mastercharge have the same thing? I've been looking for a list of the credit card vendors by size. Which are top vendors? Not just by revenue or amount of transactions, but who is the best to deal with if you have a website that is doing less than $10M per year? Less than a $1M per year? I've heard that Sage and Authorize.net are the leaders. Soon, it's time to segment the market a little to explain the roles. 1. Credit card vendors. These people are brand names: Visa, Mastercard, American Express, Diners Card, and Discovery. 5. ISO - Independent Sales Agents - These "feet on the street" are affiliated by contract with a bank to sell their merchant services. They are usually registered.